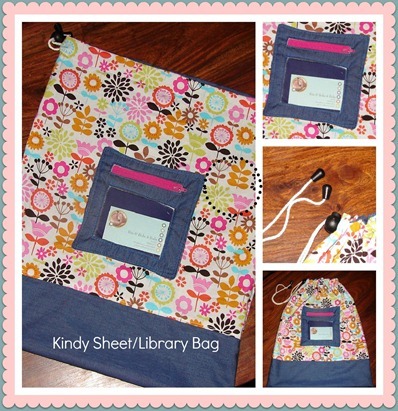 And here it is the first Kindy Sheet/Library bag. What do you think? I am going to make a few changes to the pocket for the next one. That something I do a lot and I’m sure you all do. You get half way through something and think I could do this another way and it would be so much easier lol. Anyway, hope you like it and I will be making a few more over the next couple of days so Stay Tuned!!!! !